As the chilly grasp of winter reaches over your garden, most people view it as a time to abandon the place quicker than a nuclear dead zone. After all, your grass is covered in frost - what can you do? Well, let's just stop your lazy bones in their tracks - without a solid amount of preparation, your garden will be about as colourful as a cloudy evening come springtime. And the perfect time for preparation is now. So, for a garden you'll want to lounge in, here's what you should do. The winter, a season hardly enjoyable for outdoor japes, is the perfect time for major building work in your garden. Large constructions like a conservatory could be finished as soon as the warm weather comes back around if you start near the beginning of the season. Setting you back a couple of grand, invest in a conservatory design with underfloor heating and triple glazing - that way, you'll be able to use it in the winter and the summer. While the frost might extinguish any colour from your garden, that doesn't mean there isn't life bristling underneath your soil. To allow plants time to develop for spring, plant bulbs at the tail end of autumn. For coordinated colours and a wide variety of life, you'll have to try to imagine how your plants will look next to each other literally months before they've even grown. Bring a colour chart into your garden and place its various hues on your soil to approximate the colour scheme of your plants. You'll soon have a vision of how your garden will look without using your imagination. Mulch and rot and waste and leavings, despite being uniformly disgusting, have their uses in the garden. If you can start collecting those leaves, twigs, eggshells and food leftovers (although never use rotten meat), then you could have a compost bin filled with nutrients for your plants. There's no exact science to an effective compost bin; however, it's important to mix up your waste types to create a perfect storm of minerals and other nutrients. Think of your compost bin as a dialysis machine for your soil, breathing new life into it whenever it's running low on mineral goodness. See? 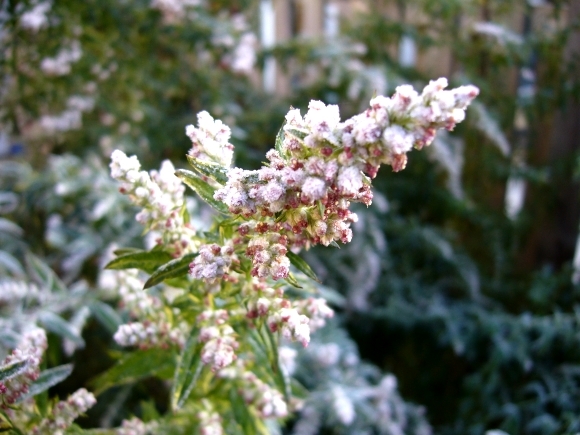 There's loads to do in your garden in winter. Just be sure to wrap up warm as you work!